The faculty was perceived as stale and wanted to rebrand to reflect agriculture’s relevance today. 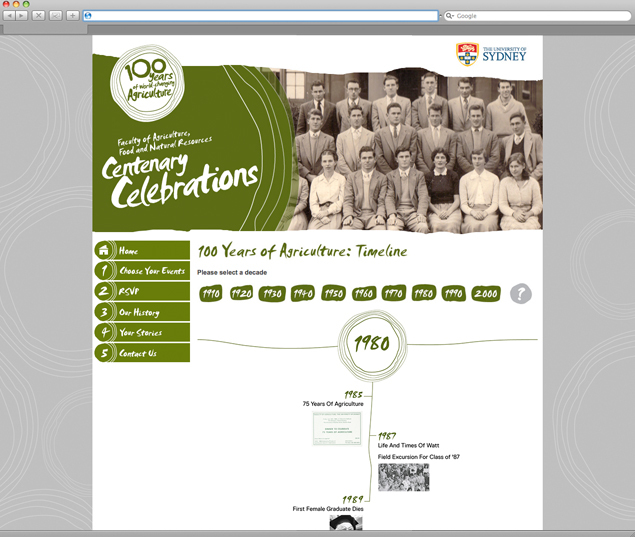 The Faculty of Agriculture, Food and Natural Resources at the University of Sydney needed an umbrella brand identity for the events and festivities celebrating its centenary. 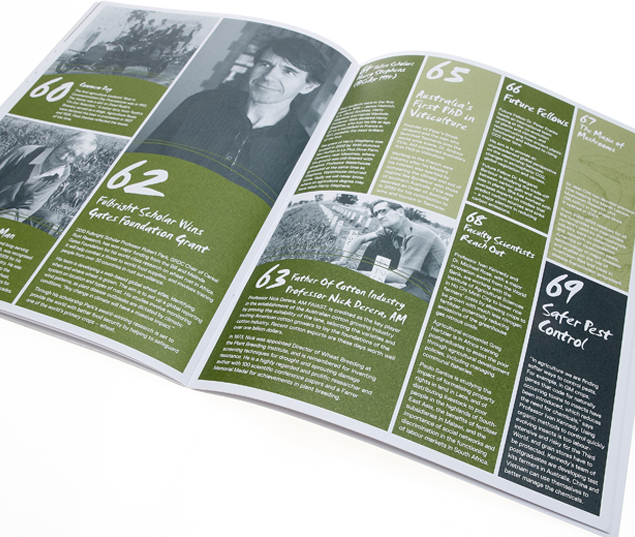 The faculty was perceived as stale and wanted to rebrand to reflect agriculture’s relevance today. Our team created a brand to encompass the faculty’s past, present and future. The brand was rolled out online (website design and online advertising) and offline (graphic design) on invitations, banners, exhibitions and in print. 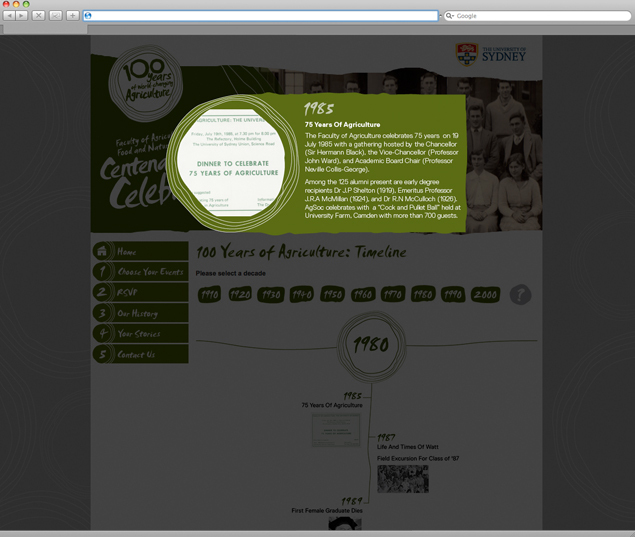 A website design and ‘Centenary in Review’ report design were created to showcase the faculty. This graphic design piece was launched at a gala dinner in the University’s Great Hall. The response was overwhelming. Past and present students were positive, engaged and impressed, with some alumni reestablishing contact with the University.